The Compass Box Great King Street Marrying Cask for the 25th Anniversary of Bresser & Timmer is blend whisky by independent bottler Compass Box bottled for the 25th anniversary of the Dutch importer Bresser & Timmer. 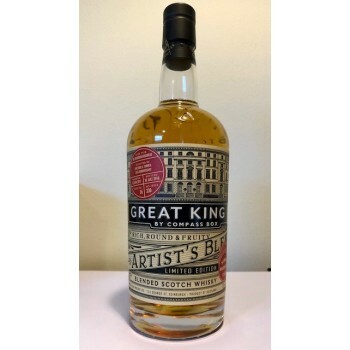 This cask blend whisky was married on the 18th of January 2017 and married together until it was bottled on the 30th of July 2018 at 49% ABV in a 1 liter bottle, non chill filtered and with no added colour. This is a limited single cask release of 330 bottles.